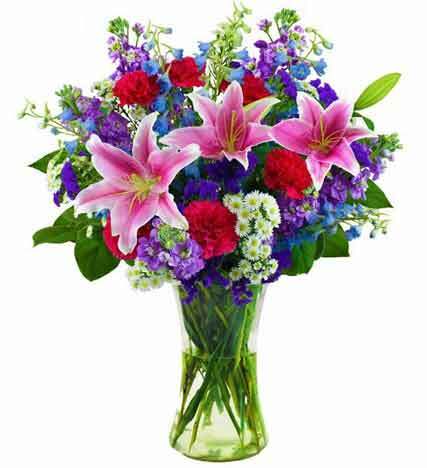 Stargazer Lilies are set against a bed of beautifully colored Holiday themed flowers in this gorgeous arrangement. Sick of diamonds? This will certainly make a bold, romantic statement for her at a fraction of the cost!